Dr Harsh Vardan at the ongoing 4th BRICS Environment Ministerial in Durban, South Africa had urged the BRICS nations to jointly help in development of a social movement to fight for the protection and conservation of environment. The next BRICS Ministerial on Environment has agreed to include "Green Good Deeds" in its official agenda in the next Ministerial in Brazil and another meeting in Russia said Dr Harsh Vardhan. Earlier in his opening remarks at the Ministerial, Dr Harsh Vardhan had urged the grouping to jointly work for developing a movement around Green Good Deeds. "I urge upon the BRICS countries to jointly help in development of a social movement which could be emulated by the rest of the world," Dr Harsh Vardhan told the ministerial delegations from the 5-nation grouping. There was wide acceptance to the suggestion and UN Environment Programme representative at the conclave Jorge Laguna Celis, acting Deputy Executive Director lauded the initiative. "In India, we are trying to develop a societal movement of Green Good Deeds, which are small positive actions to be performed by individuals or organisations to strengthen the cause of environmental protection," Dr Vardhan had told. The minister had launched a nationwide social movement to protect the environment and promote healthy living. The Ministry of Environment, Forest & Climate Change had drawn up a list of over 500 Green Good Deeds and asked people to alter their behaviour to Green Good Behaviour to fulfil their Green Social Responsibility. These small positive actions to be performed by individuals or organisations to strengthen the cause of environmental protection,were put on a mobile application named "Dr Harsh Vardhan App". 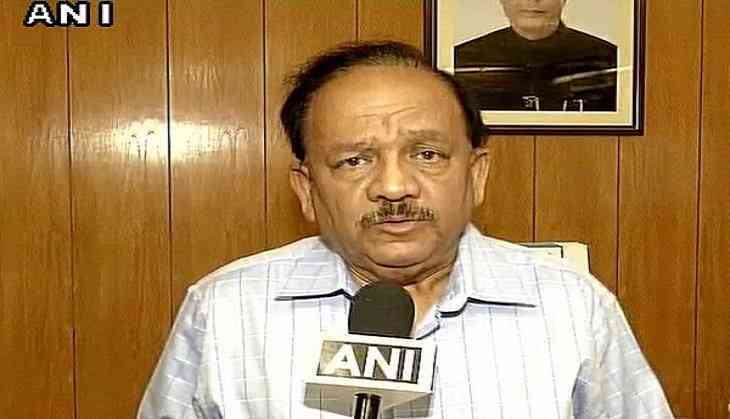 Reacting to the adoption of Green Good Deeds by BRICS Ministerial on Environment, Dr Harsh Vardhan said, international conferences on Environment had been deliberating and adopting declarations. But he wondered how these declarations could be put to practice at the ground level, involving every section of the society. "Green Good Deeds" is an idea to take it to the people and get them involved," said Dr Harsh Vardhan. The minister had formally launched the nation-wide campaign in January 2018. He enlisted the cooperation of thousands of people - students, teachers, voluntary organisations, Residents Welfare Associations, professionals to adopt these deeds. Dr Harsh Vardhanis credited with spearheading a similar movement around Polio Eradication in India in the 1990s, which resulted in complete elimination of polio from India. As a result, the World Health Organisation had declared India Polio Free on March 27, 2014.